Lightweight contender Tony Luis is one step close to securing a world title shot after winning a ten round unanimous decision over Giovanni Staffron. The 10 round bout took place at the Civic Complex in Luis’ hometown of Cornwall, Ontario, Canada. The fight was the third consecutive bout for Luis (25-3, 8 knockouts) at the Civic Complex. 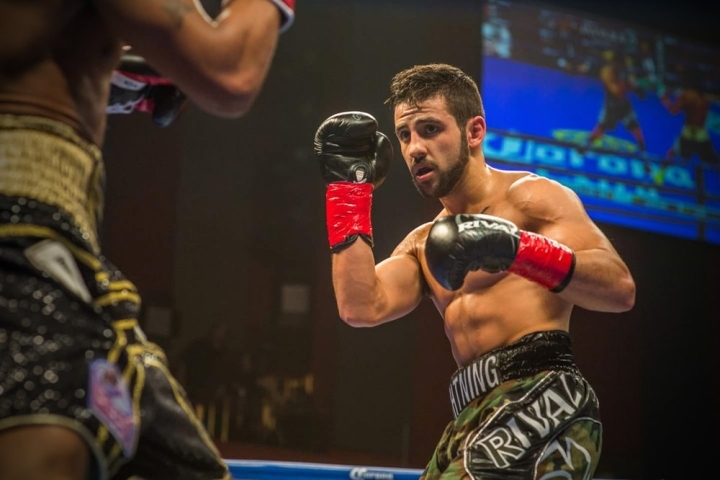 The 29-year-old Luis defeated previously-unbeaten Cam O’Donnell on June 17. Luis has won his last six bouts since his loss to Derry Mathews in April of 2015. Luis is currently ranked number 12 by the WBA, but his recent win will likely get his ranking to go up a few notches. He hopes to secure a world title shot sooner than later and he's willing to face any of the top fighters at the weight. "I should have had a belt around my waist 2 years ago versus Derry Matthews. I've gone 6-0 since then, re-entered the ranks, I'm strapped up (WBA-NABA). I want [Jorge] Linares or any contender that can get me closer to a shot. Ray Beltran, [Felix] Verdejo, [Anthony] Crolla..on any given night I'm a threat to anyone at 135. Give me proper notice and give me my damn shot! Quit hiding behind your promoters," Luis stated to BoxingScene.com. Straffron (14-3-1, 9 KOs) knocked out Maximiliano Galindo in the fifth round of his last bout on June 24. The victory came on the heels of a one-sided decision defeat to Vahe Sarukhanyan. The loss snapped a seven-bout winning streak for the fighter from Veracruz, Veracruz, Mexico. In the co-feature, unbeaten heavyweight Oleksandr Teslenko picked up a second round knockout victory over veteran Nick Guivas in an eight round bout. Teslenko (11-0, 9 KOs), who is originally from the Ukraine and resides in Toronto, has stopped eight of his last nine opponents. Guivas (14-9-2, 9 KOs), who resides in Topeka, Kansas, has now lost six of his last eight bouts. He should fight Commonwealth champ Masher Dodd next.